Looking to buy LuvLap Tutti Frutti Baby Buggy Stroller? Flipkart is selling LuvLap Tutti Frutti Baby Buggy Stroller at Flat Rs 999. So, Hurry up!! 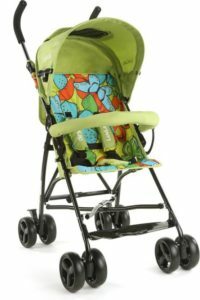 How to buy LuvLap Tutti Frutti Baby Buggy Stroller at Flat Rs 999?